Latest Samsung Mobile phone – Galaxy A9. All you need to know about Galaxy A9 6-Inch Phablet and price in Nigeria. The Galaxy A9 has been revealed by Samsung Mobile as the latest of the Galaxy A series handsets. Samsung Galaxy A9 comes with a 6-inch full HD display with some specs and features that reminds of the Galaxy S phones. Just like the Galaxy A7, A5 and A3, the A9 will feature metal and glass design. With a 3 GB RAM and 32 GB storage, the Galaxy A9 has a powerful octa-core Snapdragon 652 processor. It also supports memory card slot that is expandable to 128 Gb. Samsung Mobile will be releasing A9 to the Chinese market first. How Much is Samsung Galaxy A9? 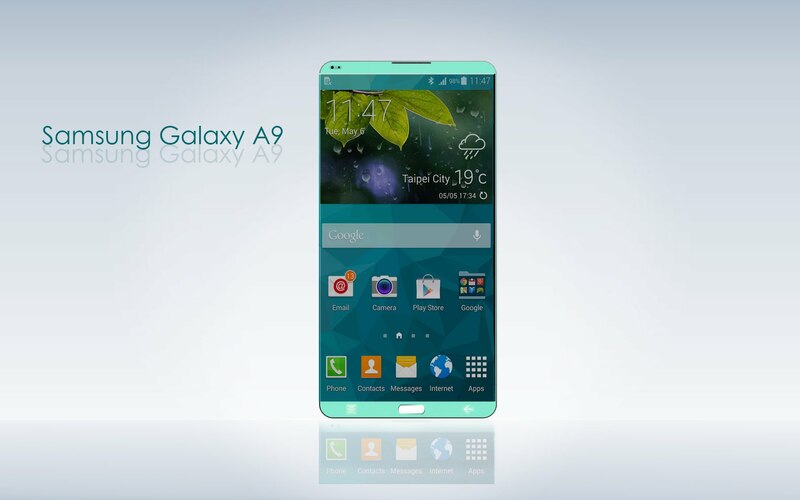 The Galaxy A9 is expected to be launched sometime in January 2016.